RIICE supports partner countries in satellite-based rice crop monitoring to make reliable forecasts of their country’s rice production. Governments can also use the data to assess very effectively the impact of natural disasters and the related extent of rice crop damages. Such information can be a useful resource for decision-making, targeting of resources, crop insurance and disaster response. 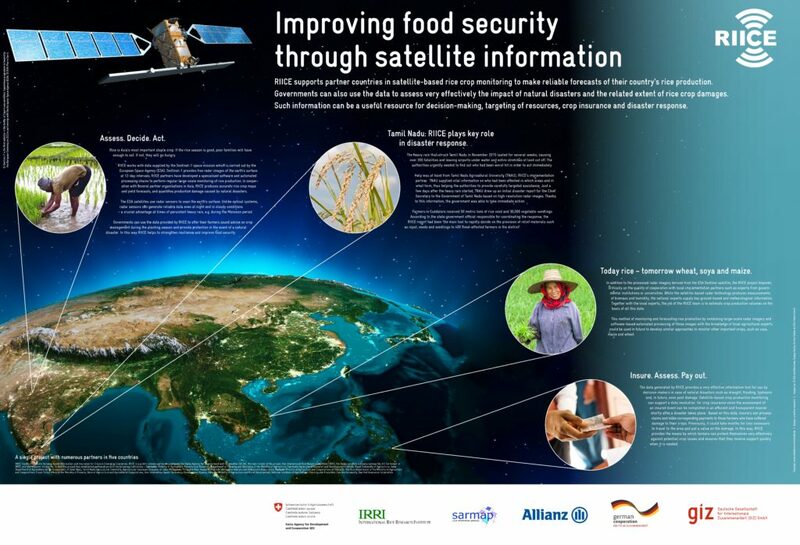 Zusammenarbeit (GIZ), International Rice Research Institute (IRRI), sarmap (a swiss satellite technology company), the Swiss Agency for Development and Cooperation (SDC), and Swiss Re.